EPISODE 348 Frederiksdal Kirsebærvin – Danish Cherry Wine! This week on Beer Sessions Radio, host Jimmy Carbone is joined in the studio by Anne-Marie Skriver and Michael Moeller of the Frederiksdal Kirsebærvin winery in Denmark. At Frederiksdal, rather than producing wine working against the Danish climate, they use the advantages offered by nature and the Danish weather. 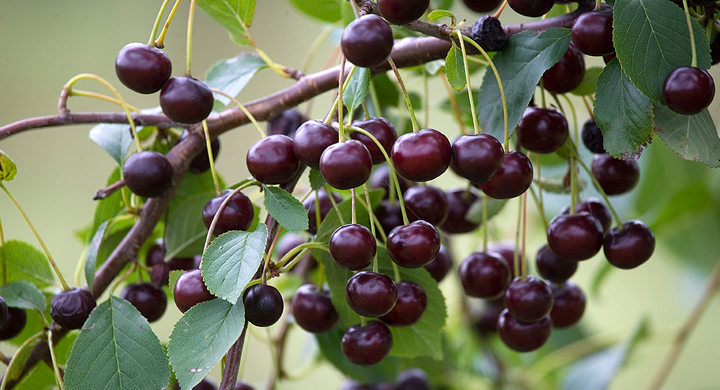 The basis is the unique ingredient, the Stevnsbær cherry, which has the very best conditions for growth in Denmark. They use the cherry’s high levels of sugar, acid and antioxidants, allowing the berries to ferment naturally for a few days following harvest to obtain maximum complexity. Also in the studio this week are B.R. Royla from Shelton Brothers, Chad Walsh, sommelier at Agern Restaurant, and Damon Boelte and Chris Balla from Grand Army.